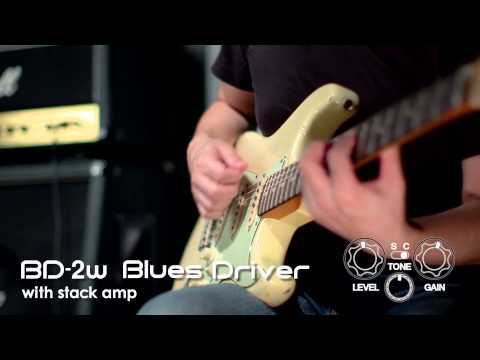 The Boss BD-2W Blues Driver pedal is a stellar, new-take on the classic Boss BD-2 Blues Driver pedal and is a great example of the new Waza .. 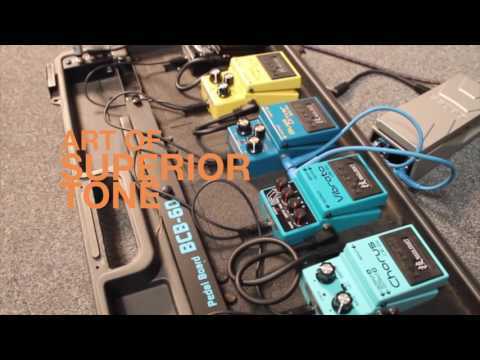 The Boss BD-2W Blues Driver pedal is a stellar, new-take on the classic Boss BD-2 Blues Driver pedal and is a great example of the new Waza pedals range from Boss. The BD-2W guitar pedal delivers a fantastic stompbox experience that fans of customisable pedal tones will love. The BD-2W has taken the sound of the classic Blues Driver and brought it to a new level with discrete analogue circuitry. The standard mode brings the classic BD-2 tone while custom mode delivers new body and sustain. Being a part of the Waza Craft series from Boss, the BD-2W has been designed and fine tuned to bring exceptional tone and touch response. The Waza Craft spirit is to fuse refined circuitry and carefully selected components with meticulous attention to detail and workmanship. The Boss BD-2 Waza edition delivers that same creamy, yet crunchy bluesy overdrive sound while breathing new life into the Boss BD-2.